Lisa Bleakley is currently, the Executive Director for the Montgomery County-Blacksburg-Christiansburg Regional Tourism Office. She was hired in 2012 to create a Destination Marketing Organization (DMO) for Montgomery County and the towns of Blacksburg and Christiansburg. Lisa worked 18 years for the Virginia Beach Convention and Visitors Bureau in Virginia Beach. She held management positions with the Special Events and Film Office and the Virginia Beach Convention Center. 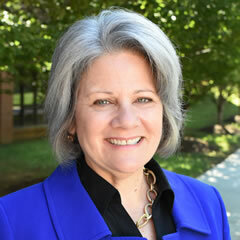 She has worked in higher education as an adjunct with Old Dominion University and Virginia Tech. Currently, she serves on the executive board of The Crooked Road; Virginia’s Heritage Music Trail and the Junior Appalachian Musicians Program in Montgomery County. Lisa earned a Bachelor of Science in Business Administration (BSBA) Marketing degree from Hawaii Pacific University and Master of Tourism Administration degree from The George Washington (GW) University. She holds the professional designations of Certified Meeting Professional (CMP), Travel Marketing Professional (TMP), and Certification in Hotel Industry Analytics (CHIA). As a veteran of the United States Navy, Lisa shares a naval heritage with her husband, Zeke and sons Jeremy and shortly, Jake. Now empty nesters, Lisa and Zeke enjoy weekends camping, and attending music and sporting events.